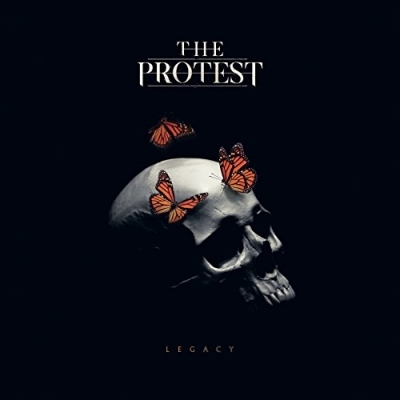 Legacy, the RockFest Records debut from The Protest, is receiving rave reviews from both mainstream and Christian media, while the project’s first single, “What Else You Got,” is a multi-format hit at mainstream rock and Christian radio. Co-written by the band and Disciple’s Josiah Prince, “What Else You Got” is currently #26 on Billboard's Mainstream Rock Indicator chart as well as #10 on Billboard’s Christian Rock National Airplay chart. The single is also a featured track on all iHeartRadio Rock stations for the month of August. In addition, “What Else You Got” has been added to Spotify’s Rock Hard playlist, along with Pandora’s New Rock station. New Castle, Indiana-based The Protest is comprised of Josh Bramlett (lead vocals), Adam Sadler (guitar), Jarob Bramlett (drums), and TJ Colwell (guitar). Game Changer, the band’s 2012 debut, was produced by Travis Wyrick (P.O.D., Disciple), while their 2014 sophomore set, Great Lengths, showcased “Vicious Cycle,” The Protest’s first Top 50 mainstream rock hit. Following numerous headlining shows and festival appearances this summer, the band will perform at Uprise Festival in Shippensburg, Pennsylvania, in September and the CVJM Loud and Proud Festival in Germany in October, along with dates in Latvia.